Our skydiving rates reflects the quality of our service. Attention to detail, uncompromising maintenance of airplanes and parachutes, as well as the quality of training and certification of our instructors is what separates us from the crowd. We don’t offer the cheapest skydiving prices in Wisconsin; however, we do offer the best skydiving experience money can buy. Personal attention is what you can expect at WSC. 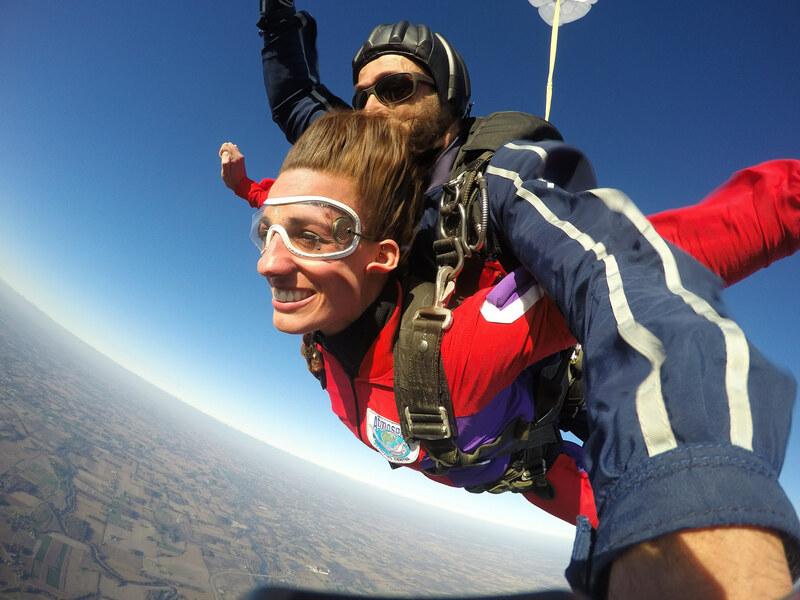 We will transform your skydive from simply jumping out of an airplane into a truly life-changing experience. Military Personnel Tandem Save $20 with valid ID! Students Save $20 with valid ID! The reason for the altitude restrictions is that with increased weight, terminal velocity is higher and therefore the parachute deployment is harder which in turn increases the possibility of parachute damage – we are minimizing this risk. The lower the altitude, the slower the speed (terminal velocity), the slower the opening. The reason for the surcharge is that heavier students put more strain on our equipment and are more demanding on our instructors during exit, opening, and especially for landing. Our instructors are experienced enough to safely skydive with heavier students, however, it is fair to pay them more for a higher workload.